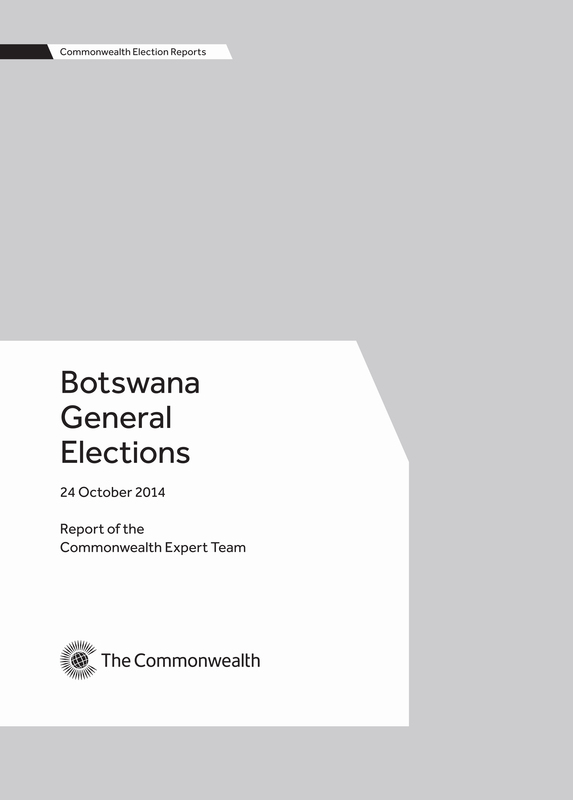 The report of the Commonwealth Expert Team for Botswana’s general election held on 24 October 2014. The mission was chaired by Justice Maxon Mbendera, SC, chairperson of the Malawi Electoral Commission and included Mrs Pelagie Uwera, commissioner of the Rwanda National Electoral Commission. The team found that the elections were peaceful, credible and transparent and exemplified Botswana’s commitment to democratic values and principles. They made a number of recommendations to help strengthen the process further.